Why is my cloned form not shown in Card Layout? I also cloned this but the cloned version doesn't show as the new Card format but as the old forms? When cloning the form you get an option to choose the layout of your new form. 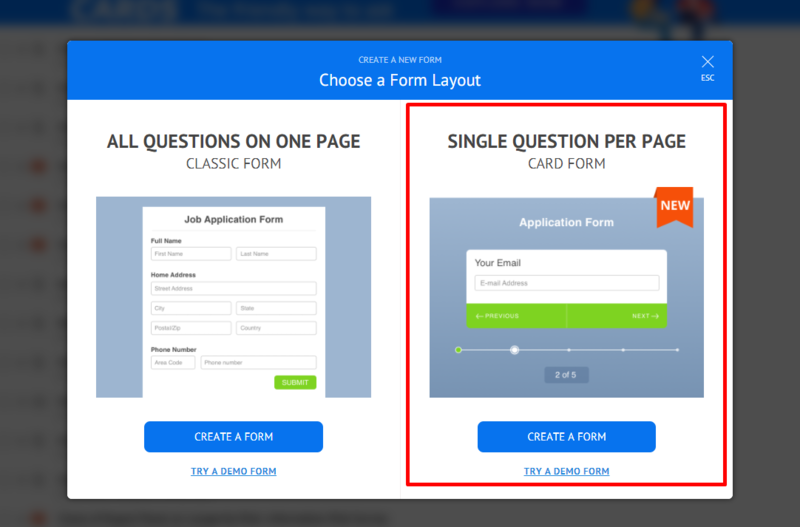 So if you want a new form to have "Cards" layout, you need to choose "Single Question per Page" when cloning.